Edward K. Williams (1870-1950) was born in Pennsylvania and studied at the Art Institute of Chicago. He and his wife moved to Nashville, Indiana where he joined the Brown County Art Gallery Association. 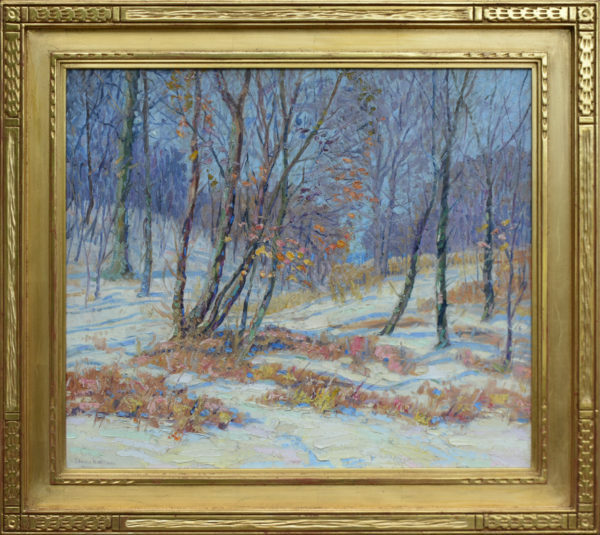 He was a member of the Indiana Art Club; Brown County Art Association; Hoosier Salon and the Chicago Society of Artists; the New York Watercolor Club; American Watercolor Society. He painted prize winning paintings exhibited in Indianapolis and Chicago. Artist First Name Edward K.
Comments This painting is in excellent condition, in a hand carved gold frame, also in excellent condition.